Looking to spend ~$5500 for a good reliable car for my mother. Front wheel drive at minimum but prefer AWD or 4WD. Good gas mileage required. 4 doors preferred. I'm thinking a CR-V but open to others that might be good too as CR-Vs tend to be a bit out of the price range or on the older side. Toyota RAV4 and CRV are too expensive to get with less than 75,000 and $5500. Not going to happen. In fact, I did a 250 mile search near me and no cars meet your requirements on TrueCar that are for sale. They are either too old, don't have AWD/4WD, or have too many miles. So in your request, nothing matches. You have to raise your mileage limit, your age limit, or the amount you are willing to pay. I would say go for a 2008 Rav4 with 105,000 miles. That will get in your price range and if taken care of, will last another 105,000 miles. It will need repairs but hopefully nothing major in that time. I agree with AcuraT's reply about the SUV route not being cost effective for purchase price, fuel efficiency, or reliability (4X4 requires more repairs and more expensive tires). Depending on where you live, unless you get significant snow, you should instead consider a used Toyota Prius. We live in snow bound Wisconsin, and find with a decent set of all season tires (or even better a set of snow tires) our Prius becomes a snow mobile with bullet proof reliablity (current at 285K miles with few repairs on 2005 Prius original battery). We also folded down the seats to make a huge hauler, all while getting 43 MPG. Cost to own is amoung lowest of any vehicle on the road hybrid (or ICE vehicle). AcuraT had a good point that you should get a higher mileage RAV4. Small SUVs like these are ideal for older people because they don't have to fall into a seat, just slide into it. These were very reliable. 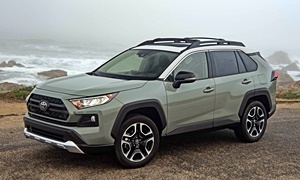 My niece has a 2010 RAV4 with 145k miles and hasn't had any problems with it, but wants bluetooth in the car so she is going to trade it in for a new RAV4 or small SUV soon. Try to get a car with ESC (Electronic Stability Control), which is known to reduce the fatality rate in an accident by 50%. 2009 and newer ones were the most reliable. The only problem with a Prius is that the battery needs to be replaced every 200k-300k miles, which is around $2k depending on the repair shop. Some people don't maintain the transaxle, which can be expensive if the fluid is not changed on time. Other than that, pretty much everything on the car is reliable. My 2005 Prius has 252k miles on the 2nd battery (replaced at 244k miles) original owner. It is a good car for older people. The 2016+ are noticeably harder to access than the 2nd and 3rd gen. I liked my first Prius so much I bought a 2016. The battery usually lasts longer if you live in a cold place. Winter tires make the Prius a great snow car. Just find a used Prius that was maintained preferably 2007 or newer. Check to see if it burned oil like our 2005 does. 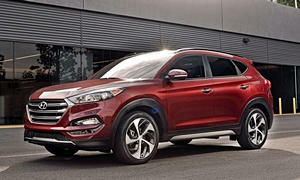 A Hyundai Tucson can be found in your budget for a 2010. It probably won't be as reliable as the Prius or RAV4/CR-V, but it is decent and gives you an easy access height. 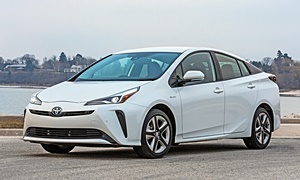 It'll be safer than an older Prius without ESC or a really old RAV4. LOL... I had not really thought of a Prius. I just cannot think of my mom as one of those people clogging up the left lane in their Prius. Snow is a concern. The mileage is not terribly important but rather reliable mileage potential in the vehicle's future. Would a 100k RAV4 be cheaper and or more reliable than a 100k RAV4 or are these two not in the same price category? 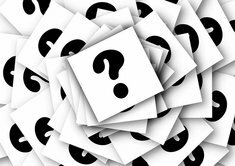 What year vehicles should I steer clear from? You need to clarify your new question kcZ. You ask "Would a 100k RAV4 be cheaper and or more reliable than a 100k RAV4 or are these two not in the same price category?" They are both the same car... so there is no difference in cost or reliablity. Thanks. If you were asking if a same mileage RAV4 or CR-V would be more reliable, the RAV4 is the more reliable one. Both are good, so if you find a good deal on one I'd go with that. The CR-V had malfunctioning power door locks and A/C compressors for 2007 and 2008. 2009 fixed it. The RAV4 burned oil with the 2.4L, which was sold from 2006 to 2008. 2009 would be the oldest I'd go with these, too. I doubt you'll find a low mileage one in your price, so that's why I mentioned the Hyundai Tucson and the Prius. You'll only clog the fast lane with a Prius if you choose to drive slow. Your mom could drive faster if she wanted to. I drive 75-80 MPH when going to work and get 56-58 MPG.